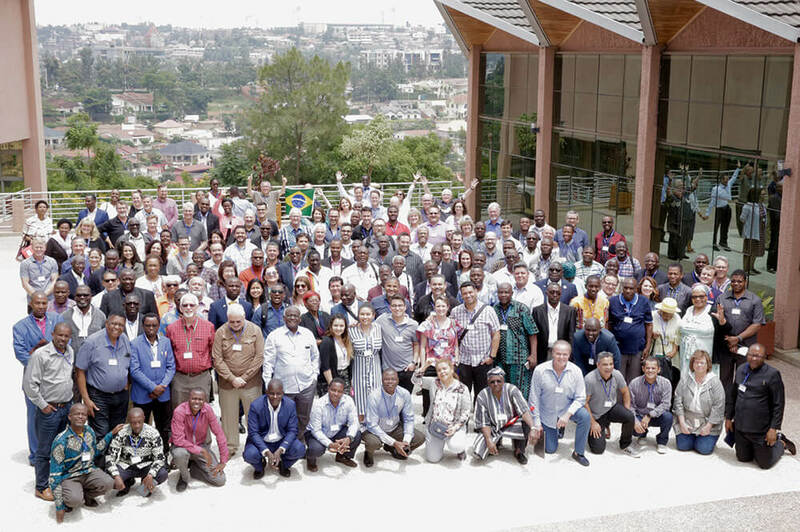 Church leaders from 12 American churches convened with church leaders from 19 African nations, Costa Rica, and Brazil, in Kigali on February 24–27 for the 5th Annual All-Africa Conference. The gathering is part of a movement of American churches partnering with pastors of African nations to bring tools and training for church health and community transformation directly to churches. 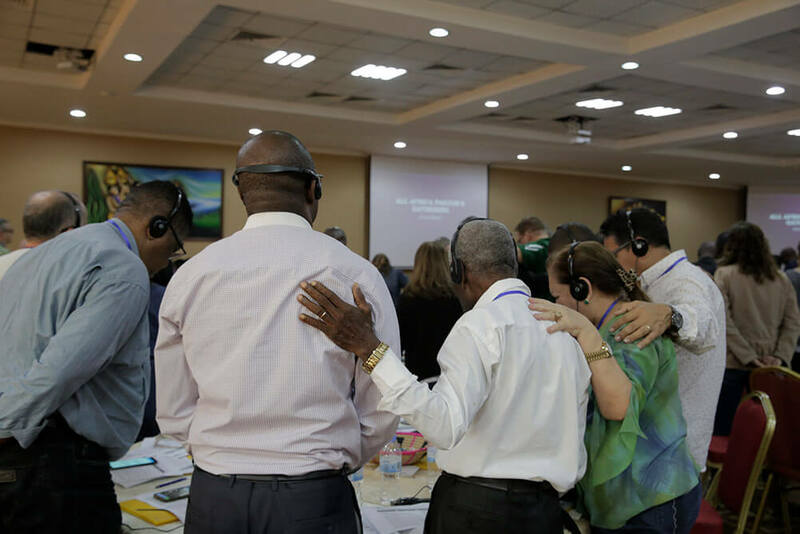 Nearly 15 years ago, Saddleback Church teamed up with local Rwandan churches of all denominations to transform the nation in a strategy called the PEACE Plan. The mobilization of ordinary church members from both Saddleback and churches across Rwanda has resulted in grassroots change that has captured the attention of other nations and church leaders from around the world. Nearly 150 church leaders gathered in this year’s All-Africa Conference to learn from the successful model of nationwide church unity, church health, and local community transformation — now impacting the rest of Africa. American and Brazilian pastors came to see how their churches could play a part in the vision by taking on the mantle of leading a nation in becoming an International Church Partner (IPC). For many of the pastors, becoming an IPC presents an opportunity to jumpstart their global missions expression in a way they hadn’t thought possible. Unlike other global missions programs, this strategy focuses on working with and through indigenous churches, bringing church health, and equipping nationals to tackle their own challenges in sustainable ways. It also helps empower every church member to become global-minded. As pastors came together to discuss the potential of working hand-in-hand, some found a surprising amount of common ground across cultures. For some leaders, the opportunity to engage in Africa on a nation-wide level represents the fulfillment of a dream for their ministry. Rev. Marty Shea has served as Senior Pastor of Village View Community Church in Summerfield, Florida for 34 years. Approaching retirement, he said “yes” to the idea of attending the gathering, despite not knowing what was in store. The opportunity to become a partner church with Swatini (formerly Swaziland) has provided a fresh vision for Shea’s next chapter of ministry. “I see this is a way I can give back since God has been so faithful to me,” he adds. The potential impact of the model on their countries and churches is not lost on the African leaders. Rev. Dr Nicolas Guerekoyame-Gbangou, President of the Religious Confessions Platform in the Central African Republic, called up his country’s president on day two of the gathering. 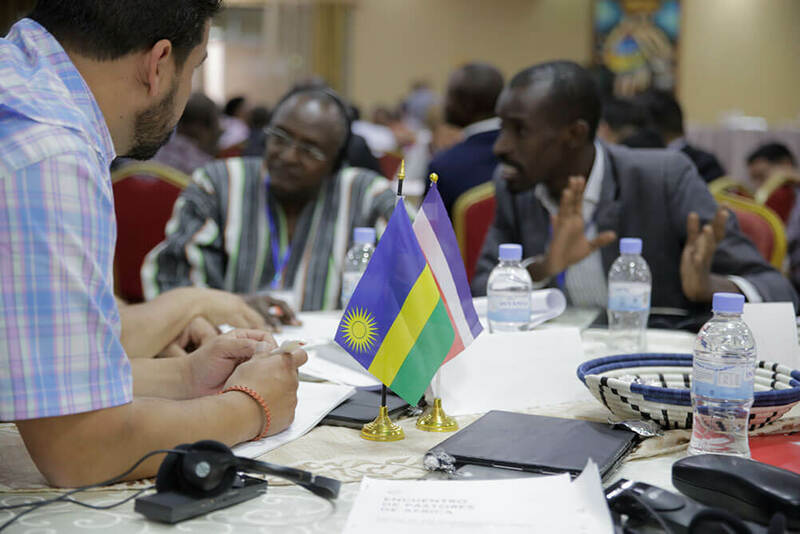 After witnessing the Rwandan example, over 20 African countries have already launched nationwide movements of healthy churches transforming communities through the PEACE Plan, and 25 more nations are set to launch by the end of 2019. Six African nations remain unmatched with an International Church Partner. If your church is interested in learning more about how to become an IPC and create nationwide community transformation in an African nation, visit pd.church/start.